wicca & Witchcraft | QuantumPhoenix.net – Esoterica, Paganism & Ritual Magic. Wiccan Path for Beginners: 1-day course (Outdoors/London/Autumn 2018). Wicca is a Pagan religious Path that includes honouring the divine, as well as the use of ritual magic for empowerment and bettering of our lives. This 1-day intensive course is for beginners & seekers – to all those interested or curious about Wicca & Witchcraft and like a simple, down to earth, friendly introduction…the whole lot in one day..! Please attend with an open mind, and flexibility of time. We go into the woods to be away from the machinations of urban society, and to attune to the rhythms and energies of nature. Try to relax, ground, centre, earth and be open for the duration of the course. Allow a bit of time-buffer towards end for questions/ answers & conversations. Afterwards, we’ll go to the Woodman’s pub (indoors) and continue with some socials and carry on conversing about wicca and related matters. Use this secure paypal link below to pay £15. Standard Fee: £20 (cash on the day). .
VENUE: Course will be held in outdoor woodland setting (Queen’s Woods, where usually hold our outdoor Wicca rituals). we’ll meet at nearby Pub (Woodman’s) and walk together. • Elements & Quarters; Symbols & qualities of Air/fire/Water/Earth in wicca; pentagrams/ triangles; invocation words (demo); Transpersonal work (4 functions). NO Recording / photography—————— . • We’ll have some wine for ceremonial parts of the course & for a bit of social after. If you have any questions/concerns, please do contact me via private message on meetup. Thanks. Dear all.. we wait for one of these and suddenly two come along!! We have 2 very special events.. Alex Sanders & Maxine Sanders are the Witches who founded one of the two main wiccan lineages (the Alex Sandrian wicca, and Gardnerian wicca being the other line). Anyone interested in or following the Wicca & Witchcraft magical paths will find these events highly important.. So don’t miss it and miss out!! here are the links to their respective facebook events. An Evening with Maxine Sanders – to celebrate the publication of the `Alex Sanders notebook’ ..taking place on this friday 25th May’18 (free event) at The Atlantis Bookshop in London. The ‘Alex Sanders Notebook’ is a remarkable survival of the career of the famed King of the Witches, Alex Sanders. The notebook was kept by him over a number of years and contains both traditional witch lore and a fusion of arcane and modern occult teachings. Alex Sanders tore up the notebook (as he often did with his private writings) but the pages were taped together by a student and preserved by Maxine for over thirty years (info taken from facebook event page). Then on 9th June’18, Evening with Alex Sanders & friends- A Celebration of the Life of the King of the Witches (6 June 1926 – 30 April 1988). being held at Mary Ward House, London…an event led by Maxine Sanders, and organised by Geraldine Beskin of The Atlantis Bookshop, Darren V Strongman & Sharon Day. . (tickets £17.50. ust be purchased in advance). The Evening will start with a very special Alexandrian Rite ‘led by Maxine Sanders. It is extremely rare for Maxine to be doing any kind of public working – which makes this even extra special and not something you would want to miss out on. This may be the only chance many Alexandrians will have. During the 1960s Alex met Maxine, whom he initiated into the Craft and made his high priestess. In 1965 they handfasted, and lived in a basement flat near Notting Hill Gate in London, where they ran their coven and taught classes on Witchcraft. event will include speakers, a film, and filming of the event itself.. (info / extracts taken from facebook event). -Mani Navasothy (Wiccan High Priest). Interested in wicca & Witchcraft? I run regular woodland based Ceremonies, workshops and courses in Wicca, Paganism and more recent additions of High Magic. My events can be directly found in my meetup group London woodland Witches Pagans & Ritual Magicians. If you have any questions/concerns, please do contact me via private message on meetup, or a public comment below this event.. or via text on 07768941373. Thanks. Wicca is a Pagan religious Path that includes honouring the divine, as well as the use of ritual magic for empowerment and bettering of our lives. This 1-day course is for beginners & seekers – to all those interested or curious about Wicca & Witchcraft and like a simple, down to earth, friendly introduction…the whole lot in one day..! Fee: £13 payable via paypal or cash on the day. This is the 2nd Full moon in January 2018 (falls on 31st January). There is also a Solar Eclipse on the same time. A potent magical time indeed. So we will be taking full advantage of the brewing energies on the eve (night before) the Blue Moon. 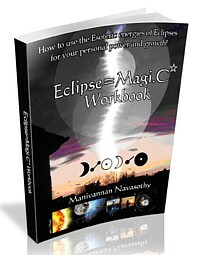 These are ideal for people interested in Wicca & Witchcraft. 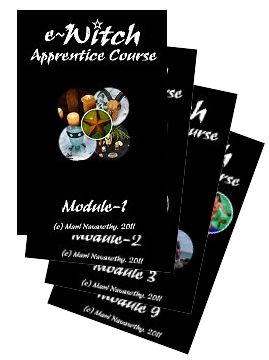 They provide an Introduction to Wicca, Witchcraft & Ritual Magic – for all new comers and beginners, and Seekers of The Craft. Facilitated by Mani (Wiccan High Priest) & Ritual team. ***Please dress appropriate for weather! *****Please DO bring food & drinks to share ( bread & cheese / humus are a good start) and any soft drink/wine that you like to share with others in circle. ** Our rituals start in twilight, but often end when it’s already nightfall.. So a torchlight is important. ** We sit on the ground! A simple ground sheet is effective (blankets get wet in winter). Or a stool. You may also wish to attend our New Moon rituals in North London, where we explore High Magic practise with a Wiccan ritual format. We will not tolerate ANY bullying, Harassment or any form of sexual predatory behaviour. Please report such matters to Tutor asap.